These are just some of the questions and issues we hear about arguably the biggest part of your bathroom, aesthetically speaking. 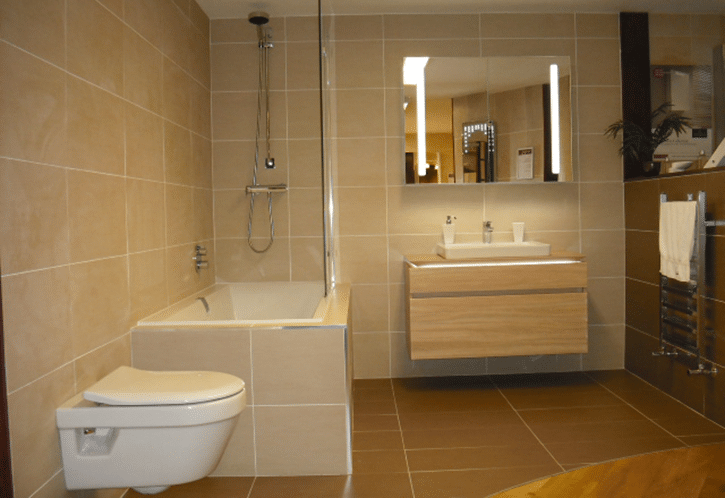 Getting your tiling right is a very important part of your overall bathroom design. But, you can’t answer this question without first deciding how you’re going to tile your bathroom. So here are the key elements to deciding how many tiles you need… without even thinking about measuring up. Fewer people now go for the minimalist look at the moment. Just a few tiles around the key areas is not the trend at the moment – but who’s to say it won’t come back into fashion in the future? If you are going for the simple look then you’ll need very few tiles. The most minimal look you can go for is a line of tiles around the bath and then a row above the sink for a splash back. 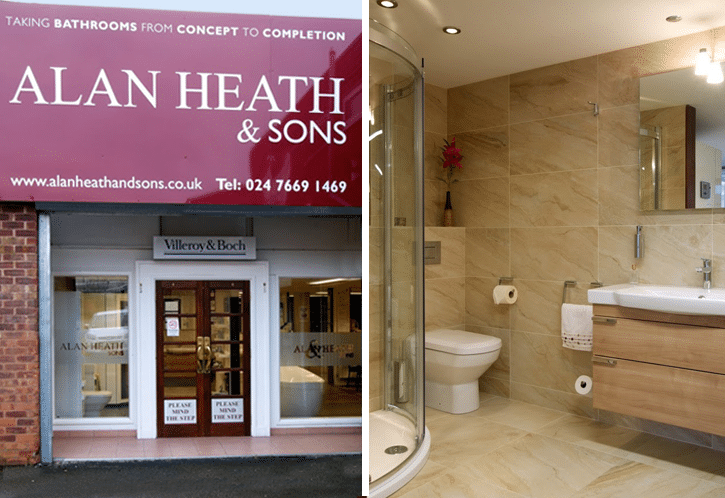 We find that at the moment probably 70 – 80% of our clients, if not more, prefer to have their bathroom fully tiled. We often recommend going for a larger tile in the smallest room in the house. Large tiles have fewer lines and joins and that means less grout and less ‘noise’ for your bathroom. When we say noise we mean on the eyes, as lots of line of grout can look a little less clean-looking that a bathroom with fewer lines. 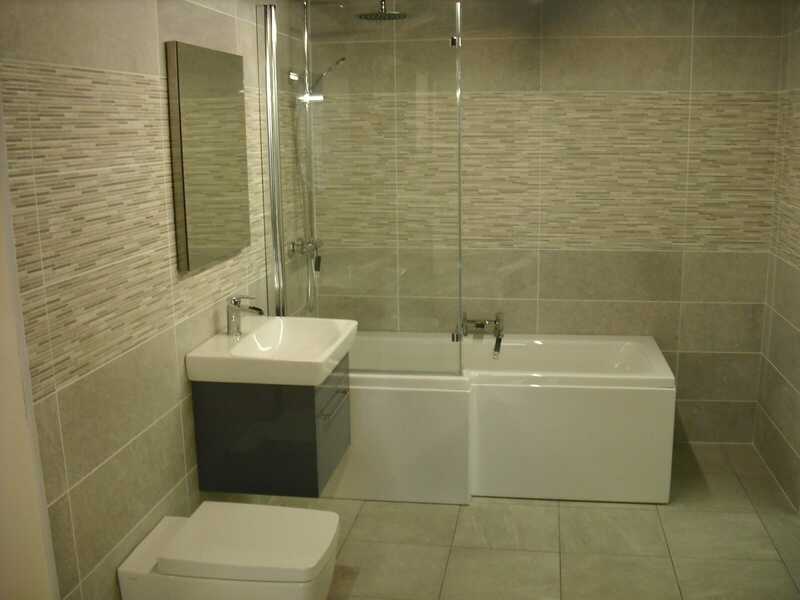 Choosing large tiles makes the room look less repetitive and therefore less fussy and is now a common theme in most of the bathrooms that we design and build. NB: If you are having large format tiles, it can sometimes spoil it if you then don’t fully tile your bathroom – so bear this in mind too. Another great design tip for your bathroom is to tile the floor in the same tiles as the walls. Assuming you pick a tile that can do both, you’ll create a uniformed look that’s not only stylish but will also make your bathroom feel larger, too. Floor tiles give a stylish look and feel and are of course very simple to keep clean. But do bear in mind that you’ll need a very good grout that’s resistant to mould and that you’ll have to clean it regularly with an appropriate floor cleaner for tiles to keep your floor looking fresh. Know When to Stop Tiling! We always recommend that if you’re not fully tiling your bathroom then you need to choose a suitable point to stop tiling. But if you change between fully-tiled and half-tiled half way down the wall, it can look like you’ve run out of tiles! You also need to avoid fully tiling most of the walls in your bathroom and the half tiling another, as it’ll look like you ran out of tiles, too! It’s all in the design, which we can help you with. It’s not a case of all or nothing, but it is a decision to make sure your bathroom tiles look like they were intended to be there. 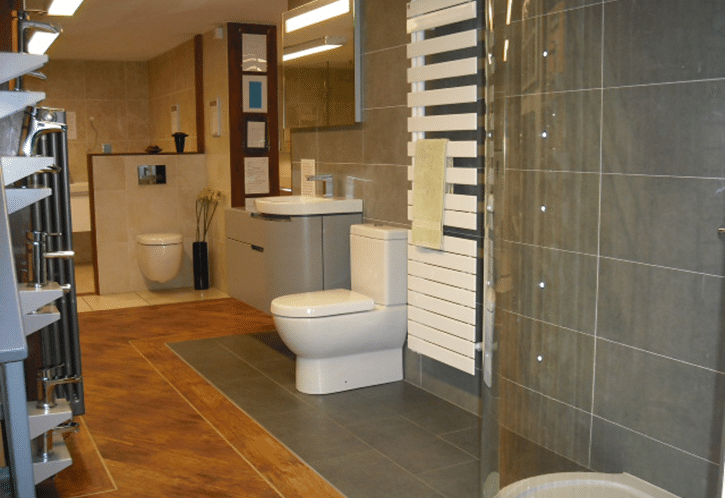 While we’re on the subject of tiles, the colour that you choose can massively affect your bathroom. A dark tile can make your bathroom feel smaller whereas a lighter tile (especially bright white) will lift your room and make it feel so much bigger. 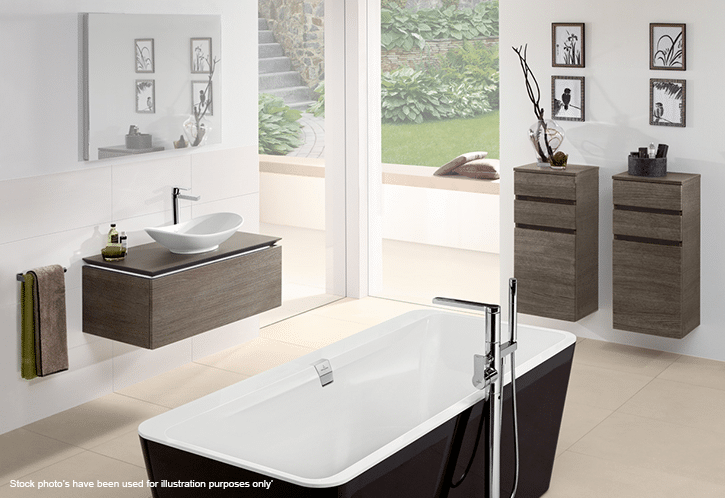 We find it’s the style of bathroom that you have that determines how many tiles you’ll need. 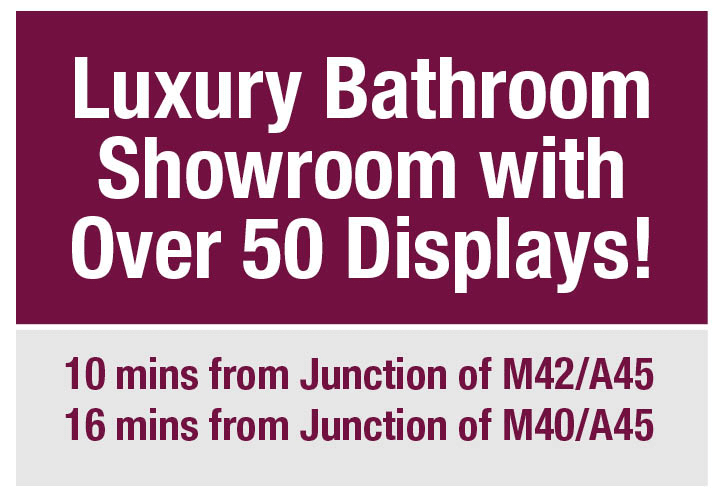 We hope we’ve given you food for thought to help you plan your bathroom so you measure the right area in the first place. If you’d like help with measuring your tiling area just ask and we’ll be happy to help. 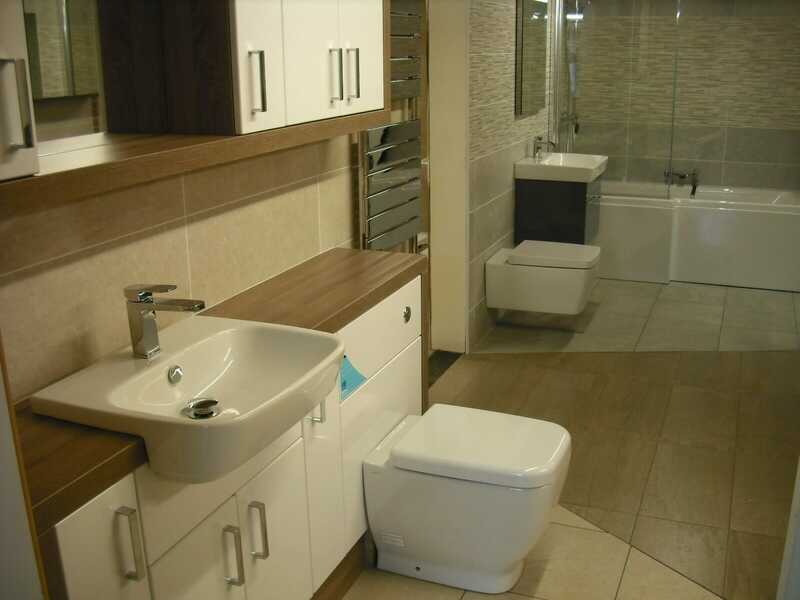 Of course, if you need help planning your bathroom then do give us a call or pop into our Coventry bathroom showroom for all the help and advice you could ask for.